Kyle Stevens isn’t ready to live again. Racked by guilt, he’s afraid to feel. His sole focus is finding the Headley Cross serial killer—his girlfriend's murderer. That is, until he meets Holly Carmichael. He’s drawn to Holly, vows to protect her where he failed to protect his former love. But Holly makes him feel again, emotions quickly morphing into something much more dangerous to his hardened heart. 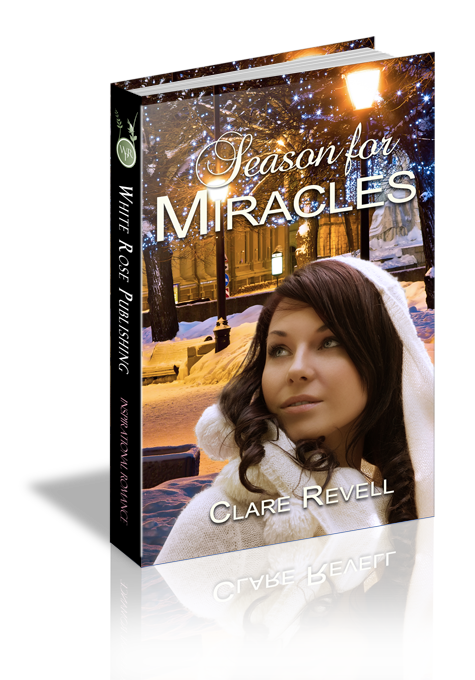 When the serial killer returns to finish what he started, only a miracle can save them…but then, it's the Season for Miracles. Holly nodded. The headache upped a notch. That was a stupid thing to do. She moved her head a little as Kyle helped her to her feet. She brushed the snow from her coat and tried to focus on the man. His hat, pulled down over his ears, hid his hair. Her head pounded, stars danced in front of her eyes, and it was all she could do to stand upright. I want to sit down. Please, let me sit down. The words echoed in her mind, but she wasn’t sure she’d said them aloud. He didn’t respond. Holly nodded for a third time. She had a huge lump in her throat and she struggled to breathe. Her legs didn’t want to hold up, but she didn’t want a fuss. Fingers tingled inside her glove where he held her hand. His grip kept her upright.